Home → Handy Hints → Hot Water System Melbourne – What You Need to Know. Hot Water System Melbourne – What You Need to Know. If you are living in Melbourne, you will have some of the most modern home conveniences. One of these is a hot water system and in this article, we shall discuss some of the facts you need to know about hot water system Melbourne. To begin with, a quarter of your total energy consumption is taken up by your hot water system. That means making a wise decision in choosing the right product is important. Read on to find out all you need to know about this. To start with the obvious, ensure you do your research before you set out to buy a hot water system Melbourne. The internet is awash with a lot of information in his regard. By simply entering certain related search words, you will get as much information as you need. If you live alone or with your partner/spouse, a continuous flow system of hot water is ideal for you, be it electric or gas. If three or four reside in your house, a continuous gas system is what you need. For households with over 5 people, you will require several continuous flow hot water systems or a gas storage unit. Gas Hot Water System in Melbourne costs about $900 to $2000, excluding installations. It is cheaper than electricity and comparatively economical. Normally, they are installed outside for ventilation requirement. For a house with 4 people residing in it, a 135-170 litre tank is good enough. Electric Hot Water System in Melbourne costs about $900 to $2000, excluding installations. The upfront cost is low but running it is not. A 135-170-litre tank would be ideal for a house with 4 people residing in it. You can get it installed indoors or outdoors. It is not really a good economical choice but an off-peak electricity run hot water system Melbourne can be a alternative. Heat Pump Hot Water System Melbourne costs about $2500 to $4000, excluding installations. A 270-315 litre tank is needed for a house with 4 people residing in it. It can be noisy. They work like refrigerators, using heat from the atmosphere to heat the water. Solar Pump Hot Water System in Melbourne costs about $2000 to $7000 without installation cost. A 300-360 litre tank is needed for a house with 4 occupants. It comes with a gas or electricity booster for the less-sunny days. Solar Panels are needed to be installed in the right location to work efficiently. It is expensive and its installation is a long process. However, the running cost is very low. Needless to mention, it is also an environmental-friendly option. Also known as “instantaneous”, Continuous Flow Hot Water System in Melbourne heats water as and when you need it. Gas or electricity is used to run it and one benefit with this arrangement is that there is no heat loss. Continuous flow hot water system Melbourne is cheaper to run than storage systems. Storage Tank Hot Water System in Melbourne refers to an insulated tank with a 5-10-year warranty. An ideal location to install a storage tank is in a sunny area. They do face heat loss though, unlike continuous flow systems. Storage tanks heat the water and store it for use and are more costly compared to continuous flow hot water system Melbourne. You will need to discuss with your installation technician regarding the location that is best for the system. Solar hot water systems in Melbourne usually have their storage tanks placed on the roof. Find out if your roof can hold up the weight. Pipes will need to be insulated. For perfect installation of a solar hot water system in Melbourne, a booster will be required. The booster control system indicates when it needs turning off or turning on, depending on the weather conditions. Make sure you have the complete set of instructions for running your system. 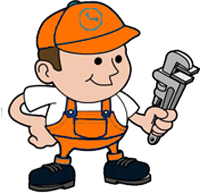 Regular inspections and services will be needed for hot water system Melbourne. The temperature must be maintained to at least 60 degrees Celsius to prevent breeding of bacteria. However, this does not mean overheating is okay so as an energy-saving measure, ensure you turn it off when you go on your vacations. To have your hot water system up and running for a long time, it is good to make maintenance checks and inspections a regular thing.